Contemporary prison practice faces many challenges, is developing rapidly and is become increasingly professionalized, influenced by the new National Offender Management Service. As well as bringing an increased emphasis on skills and qualifications it has also introduced a new set of ideas and concepts into the established prisons and penal lexicon. At the same time courses on prisons and penology remain important components of criminology and criminal justice degree courses. 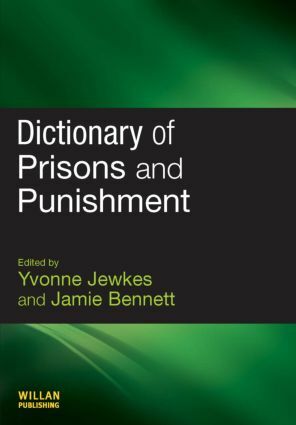 This will be the essential source of reference for the increasing number of people studying in, working in prisons and working with prisoners. edited by a leading academic and practitioner in the prisons and penology field entries contributed by leading academic and practitioners in prisons and penology.